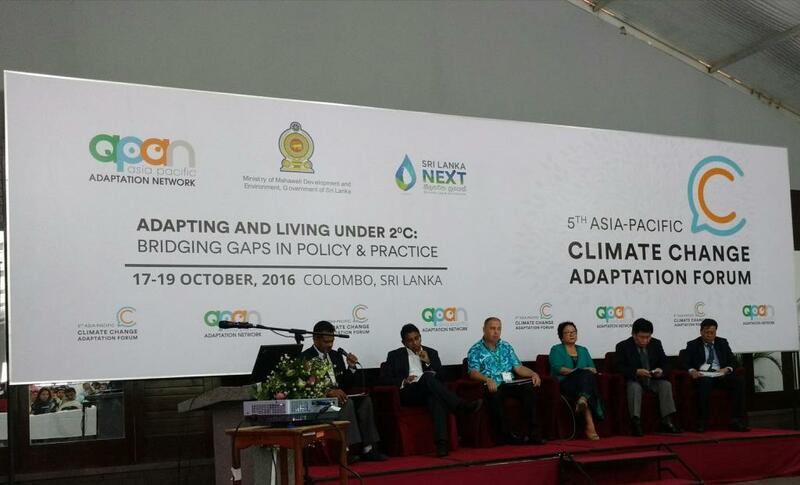 Representatives from over 50 countries deliberated on the role of governments in shaping global climate policy and inclusion of vulnerable communities in adaptation planning at the 5th Asia Pacific Climate Change Adaptation Forum, being held in Colombo, Sri Lanka. Any policy, national or international, requires complete involvement of the government agencies to see the light of the day. Government representatives from Sri Lanka, India, Cook Islands, Japan and Myanmar spoke on involving the most vulnerable climate change planning and financing. They also discussed the challenges governments face in implementating policies and dealing with extreme weather events. “Even though Sri Lanka’s contribution to the current crisis was less than 0.1 per cent we have to take a significant responsibility as a developing country,” said Harsha De Silva, deputy minister of Foreign Affairs, Sri Lanka. Not only has the Sri Lankan government ratified the Paris Agreement last month, the nation’s cabinet has also approved the establishment of an climate change commission, he informed. The commission will have power to take decisions, regulate and monitor all aspects related to climate change mitigation and adaptation. However, he also added that the success of any policy instrument will depend on how well the affected communities are involved in the change-making process. Khrienuo Metha, government representative from India spoke of community-led conservation efforts yielding great results in Nagaland state. According to a government survey, almost 80 per cent of the state has come under forest cover converting it into a biodiversity hub. Inclusive adaptation planning is important because it reaches out to those who are worst affected by the impacts of climate change but have the least coping capacities. Nicolene de Haan, of the International Water Management Institute, emphasised on the need to look at gender issues by going beyond mere numbers. How gender dynamics play out in households define the role of women and their decision-making abilities and coping capacities at the time of a disaster. Empowering women, thus becomes an important part of the adaptation conversation if we are to focus on climate justice and equity.